Aarti Singh received her B.E. in Electronics and Communication Engineering from the University of Delhi in 2001, and M.S. and Ph.D. degrees in Electrical Engineering from the University of Wisconsin-Madison in 2003 and 2008, respectively. 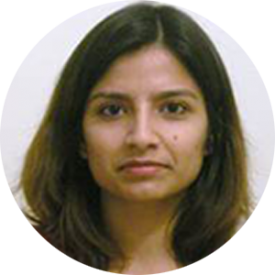 She was a Postdoctoral Research Associate at the Program in Applied and Computational Mathematics at Princeton University from 2008-2009 before joining Carnegie Mellon.